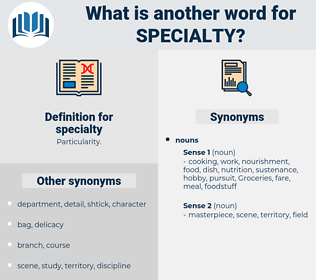 What is another word for specialty? practitioners, panelists, skills, utilities, Les, honors, officers. Institutes, highlights, Les, discipline, skill. specialized, specialist, Specialists, specialised, special, specials, specializing. 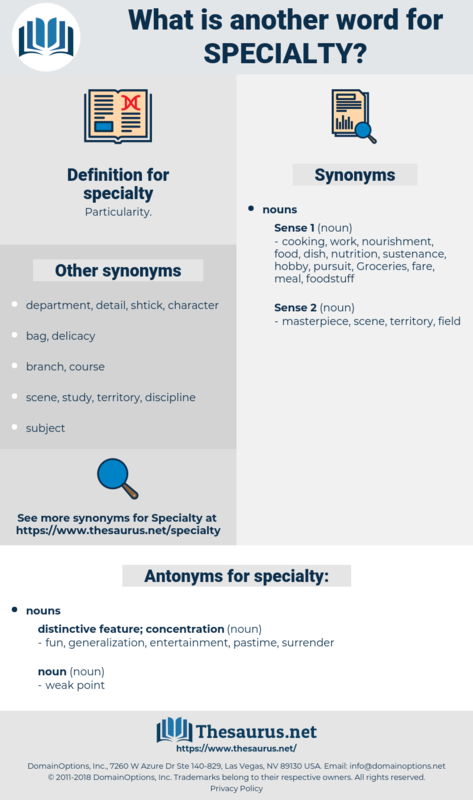 specialising, specialization, specialist, specificity, special, specializing. fun, generalization, entertainment, pastime, surrender. Broncho Sam, however, made a specialty of doing all the riding himself. speckled, speciality, sphacelate, spikelet, shopsoiled, speculate.